We won’t see a new IP, although we will see Star Fox Racing, which while not a new IP, will be something that we’ve never seen before. It will have a playable demo and be announced for August 2018. I think we’ll get a trailer for Metroid Prime 4, being announced for 2019, with no playable demos or even a playable Treehouse segment. However, we will find out who the developers are (Bandai-Namco), and get an interview with them about their vision. The original Metroid Prime trilogy will however be announced for Switch, releasing in October of 2018. Super Smash Bros. will be announced for September 2018, coinciding with the new paid online system. 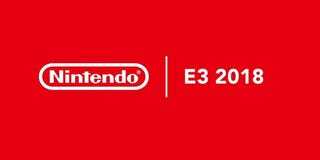 It will get four new characters announced at E3, being Ridley, Sidon, Waluigi, and Rex/ Pyra. It will of course get a GameCube adapter, and have consistent updates leading up to its release. We will not see any new mainline 2D or 3D Zelda or Mario games, with no DLC for any previous games. Unless that is, that you count Super Mario Maker, which will get a sequel on Switch, even though it won’t be terribly different, coming out in late July of 2018. And we’ll also get a Zelda Maker with much less details announced for 2019, including an original, Link’s Awakening DX, Link to the Past, and Link Between Worlds mode. We will see a new trailer with a release date for Splatoon 2’s Octo Expansion, being released in June. We will also see Xenoblade Chronicles 2’s new story DLC, being released in October. We will see a trailer for the new Fire Emblem game, which will get a brief Treehouse segment but no demo on the show floor, and will be announced for November of 2018. It will feature full voice acting and allow players to move time backwards to reverse mistakes, much like Mila’s Turnwheel in Fire Emblem Echoes: Shadows of Valentia. Bayonetta 3 will receive a new gameplay trailer, but will not be playable as a demo or in the treehouse, with a vague 2019 release date. In other conferences, (excluding EA as that conference is happening as I’m writing) Bethesda will announce a big new game that releases on Xbox One, PS4 and Switch on the same day; Square-Enix will have more on Octopath Traveler as well as announcing Bravely Third for Nintendo Switch, as well as ports of the first two Bravely games to Switch; and Ubisoft will announce a collection of older Assassin’s Creeds for Switch as well as show off more of Mario + Rabbids’ Donkey Kong expansion. Tell me what you think Nintendo will do!